WE ARE THE ONLY GURKHA NEPALESE RESTAURANT IN DERBY TO HAVE BEEN RATED 5 STAR ★★★★★ in FOOD & HYGIENE SCHEME. 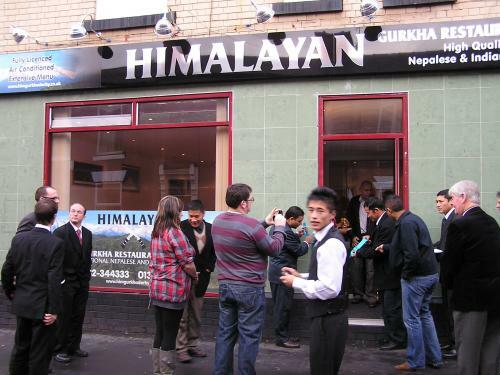 Namaste & Welcome Welcome to Himalayan Gurkha Restaurant, one of the best Nepalese Restaurant in the country. It is situated in the heart of Derby inside the Derby City Centre and with an approach to cooking, presentation and outstanding value. Our aim is to bring the best Nepalese & Indian Cuisine with a modern twist on traditional methods. By making each dish from scratch with locally available herbs and imported spices, our experienced chefs attempt to bring you the Himalayan Nepalese dining experience right here at Himalayan Gurkha Restaurant (Derby). We are also pleased to introduce you to a new taste which is reflective of unique Gurkha Nepalese and Indian Cuisine. Born in the mountains of Himalayas this has become a favourite style of food throughout the world. The difference is in the seasoning. Using the finest vegetables, meats and seafood, full flavoured fancy spices and modest herb combined to provide a culinary experience. Our head chef has many years of experience in preparing the special dishes of Nepal & India. The atmosphere of our restaurant is designed to enhance your dining experience with beautiful scenic painting, posters, ancient Nepalese structure of Nepal.